rt Deco emerald-cut sapphire and diamond ring, the natural un-heated Ceylon sapphire set with a single row of diamonds, mounted in platinum. 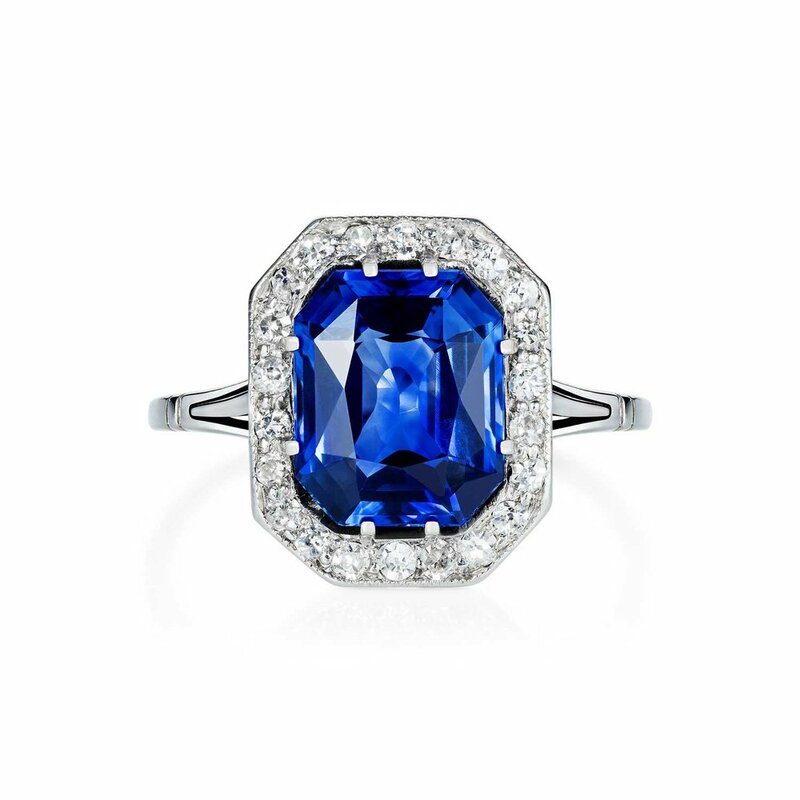 Art Deco emerald-cut sapphire and diamond cluster ring, the natural un-heated Ceylon sapphire set with a single row of twenty two eight-cut diamonds, mounted in platinum. 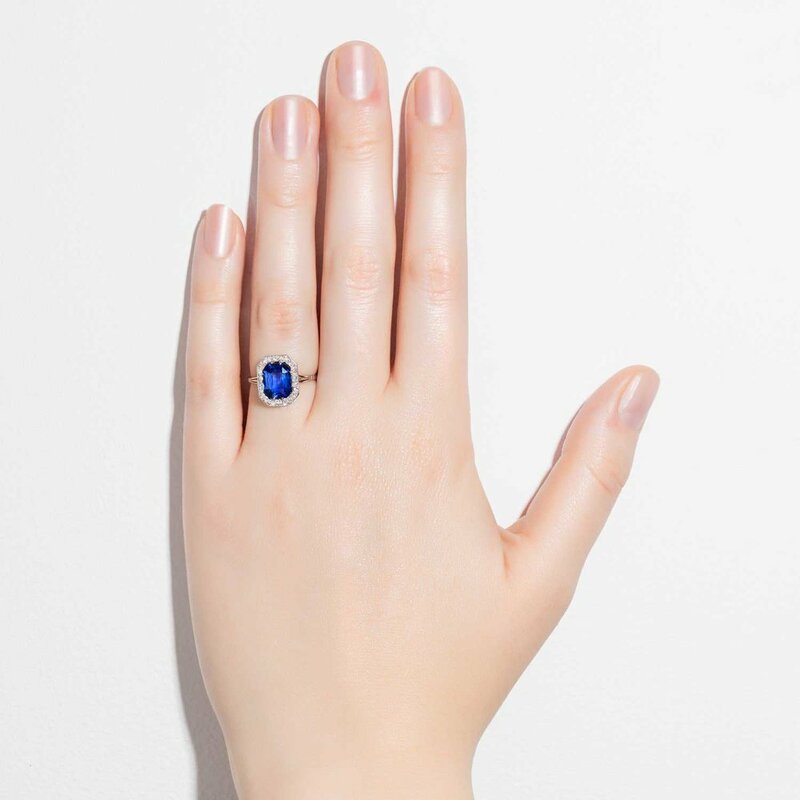 Sapphire weighing 2.67cts accompanied by a certificate from the Gem & Pearl laboratory. Diamonds weighing approx 0.22ct in total.